Last year I started out the year with the understanding that I was, and still am, primarily a Stay At Home Dad & that really consumed a huge portion of time. Now I understand that it’s not the time thing that limits me, it’s my mental energy, so I want to do two things. My first post of 2012 was 5 Ideas for 2012 that can Change Your Life & they really are life changing ideas. Cook Something New Each Week – did not really think about this past the first few weeks, though I did cook many new things over the year, just was not as intentional as I should have been. 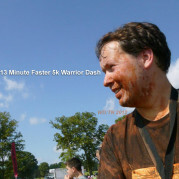 Try a New Hobby & share it – If you count doing Obstacle Runs, I started this. I did not share as much as I could have. Interview Someone Each Week – During the last few months I really started talking and interviewing people. In the end I probably ended up with 25ish people, so nearly one every two weeks & it did cause other changes. In the spirit of consuming new ideas & a rate of at least 5 hours per week, I probably did it, even if it was not all books like I had intended. “First half” you say? Yes, my life is so busy right now that all I can think of is the first half of 2013 … I also know that how my three main “non-family/self” projects go will determine the second half. During 2012, I ran my first two Obstacle Races … they were 5k with a few obstacles … now I want something more, so adding in Zombies trying to eat you … sounds like a whole different challenge. Doing this does depend on me finding a few people to do it with me. I am not going for time, I am just wanting to survive as a group. The next area of the world I want to explore is South of the Equator … knowing some Spanish will help. My current plan for this is to use Live Mocha, along with podcasts, video games, and maybe some other media. This is another project I’d like to have others walk alongside with me. During the past few months, I’ve been really investigating opportunities for some B2B support business for the REI Industry. This is one of my few non-family & non-keep-me-sane/healthy/strong projects. Now is a good time for me, because the children are still small and we are limited in what we can do with them. All this stems from my understanding of both where I am, what resources I have at my disposal & where I desire to go. My parents identified early on that I need limits & now I am seeing the wisdom in how they trained me up. I am sure I will continue to take pictures. 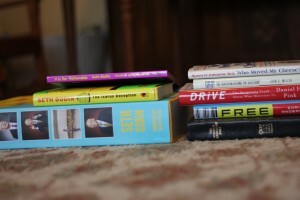 I will keep consuming audiobooks, the new Seth Godin unlocked for me today, and podcasts. I’ll keep talking with people & trying new things, but 2012 really was a time to develop some skills and habits. 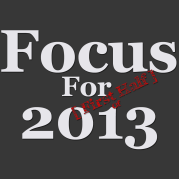 The focus for me in 2013 is more skills, habits, and strengths. How will you become stronger, more skilled & more discipline in 2013? This post has inspired me to become more Intentional with my goals and life in general. 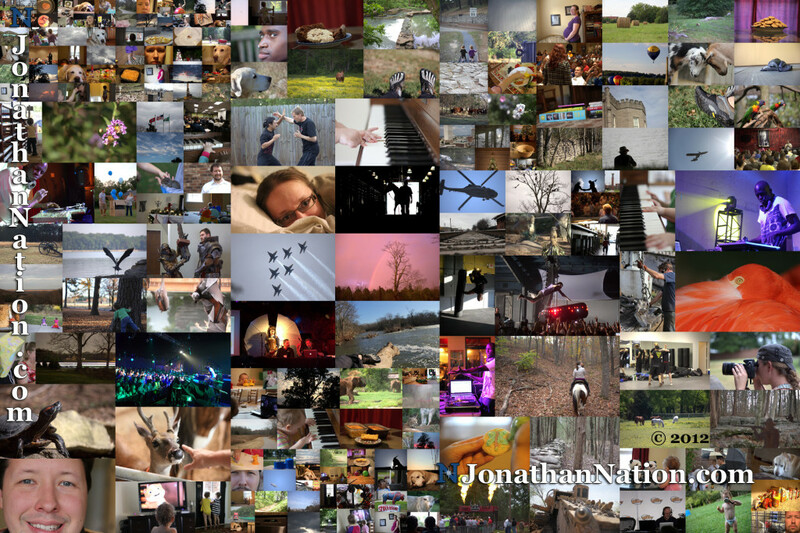 What’s in store for me in 2013: Daily photo’s, Daily Blog Post / Journal, Cooking Something New Each Week. I think I’ll start this years post off with a end of year recap and what i’ll be fcusing on in 2013. I am glad that I inspired you & glad you are going to be more intentional.